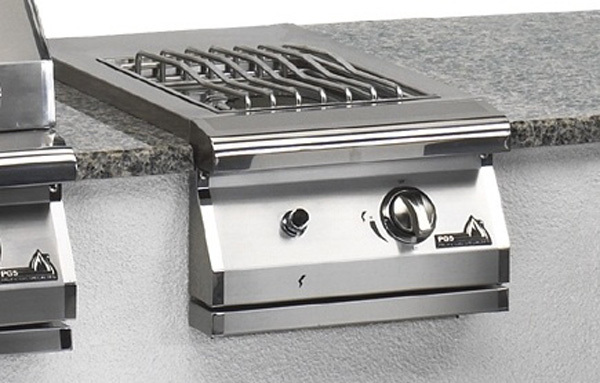 Combine the best of both worlds of outdoor grilling and indoor range-top cooking with a high quality, the stainless steel dual side burner features 25,000 BTUs of cooking power. The side burner allows you to prepare your entire meal in one spot: stir a sauce for your meat while you grill; boil water for corn on the cob. You could even stir fry vegetables in a Wok while the meat is grilling! Fired by a battery operated "Sure Fire" electronic ignition system, the two seal top burners deliver quality and versatility to your grilling experience. The burner kit is set for built-in installation. For use with LP gas. Has battery-operated "Sure Start" electronic ignition.